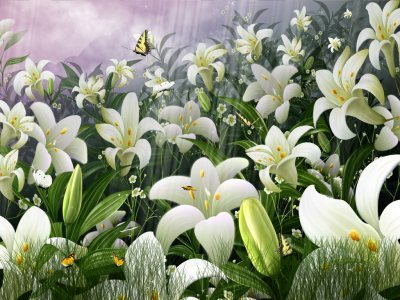 ***Note: To downloads Nature Screensavers from this page, please click on the screen shot of interest. Mystery and beauty abound beneath the ocean waves. Download now to dive deep and swim with the turtles and fish in an underwater adventure for free. Break free from winter doldrums with these fresh and colorful tulip bouquets. This free screensaver download is just what you need to put a spring in your step. The beauty of the morning fog in the rays of the rising sun is reflected in our new screensaver Sunrise Lake. 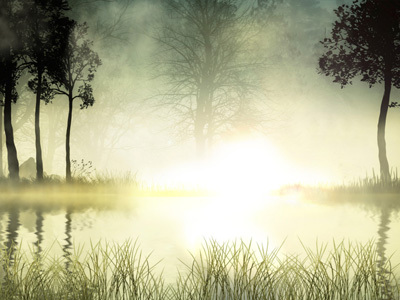 The graphics is very realistic as if you are sitting on the bank of the lake and admire the sunrise. In addition sound effects are presented in this screensaver. You can hear the singing of different birds and the soothing sound of water. Download and install Sunrise Lake screensaver, it is so easy! Great waterfalls in your own home, is it possible? It is real thing with our new waterfalls screensaver. If you want to get out into nature, but it is not possible for you now, then this screensaver is for you. Relax and unwind from the city. Realistic graphics will not leave you indifferent. Great waterfalls screensaver takes up minimal space on your PC, suitable for any Windows and any screen. Just download and install it in one click! Is there no time or opportunity to go on vacation to an exotic tropical? No problem, download and install our tropical screensaver and dive into the fascinating world of the tropics, right at your monitor. Four beautiful animated scenes of the tropical world, gradually changing each other with the sounds of natural rain forest and the coast of the South Seas, will not leave you indifferent. 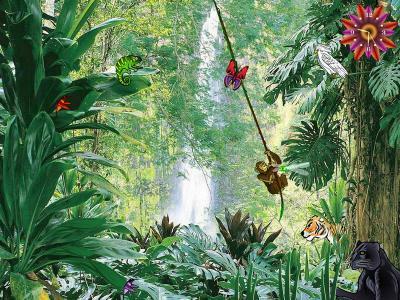 Colorful exotic inhabitants of the tropical jungle and the turquoise lagoons of tropical islands - monkeys, leopards, panthers, hummingbirds, snakes, seagulls, butterflies, sea turtles, dolphins - will be a real decoration of your virtual world. 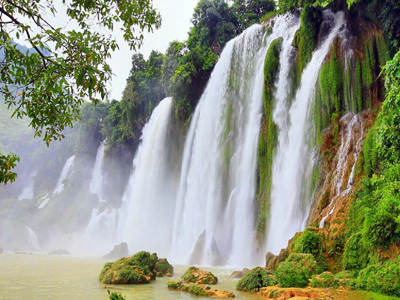 Do you want to make an unforgettable journey into the world of the jungle with their magnificent waterfalls from the comfort of your home or office? No problem, now it's real! Download and install our new colorful, beautifully animated screensaver and enjoy the magnificent views of the rainforest and its inhabitants. A black panther, leopard, crocodile, monkey, pink flamingos and of course butterflies. 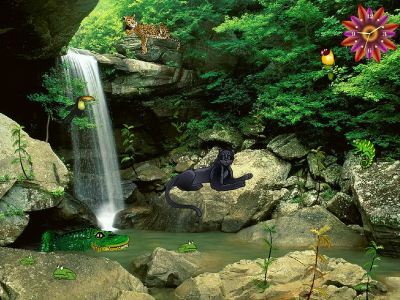 Dragonflies and parrots are framed by lush green jungle and waterfalls adorn your desktop. Natural sounds of tropics wildlife will delight your ears! Rich tender autumn colors of the Fallen Leaves are going to tell us the story with happy end... after the winter there will be new wonderful spring! Delight in amazing Autumn slideshow with built-in wallpaper manager and let your spirits get higher! Now With Amazing Effects and Sound! Enjoy a a quiet night watching the moon reflecting in the lake and the birds flying. Try this one and see what it can do for you. If you are a "Free Nature Screensavers" creator and would like to have your work listed on DesktopLand.com then please submit your work for us to review and list. Friends and Free Nature Screensavers Developers - Welcome!